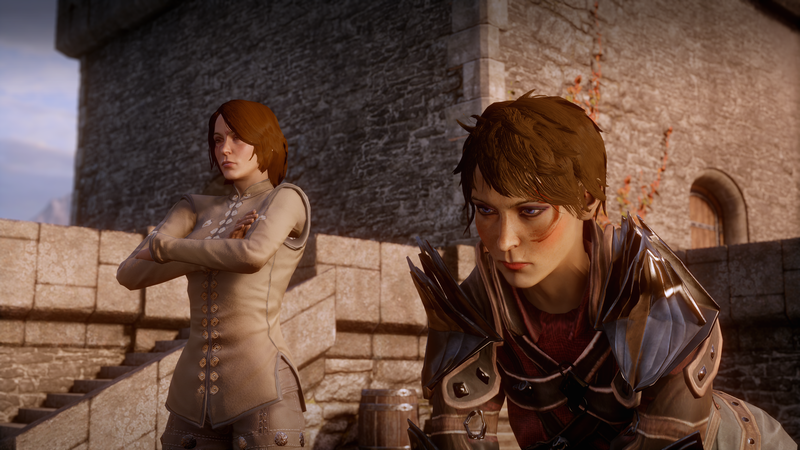 So after finishing Dragon Age 2 in the last post, we're now up to 2014. In fact, the last DLC for Inquisition came out only three and a half years ago - not old enough for us to be diving back to recontextualise the game but also not new enough for this to be a stock review. 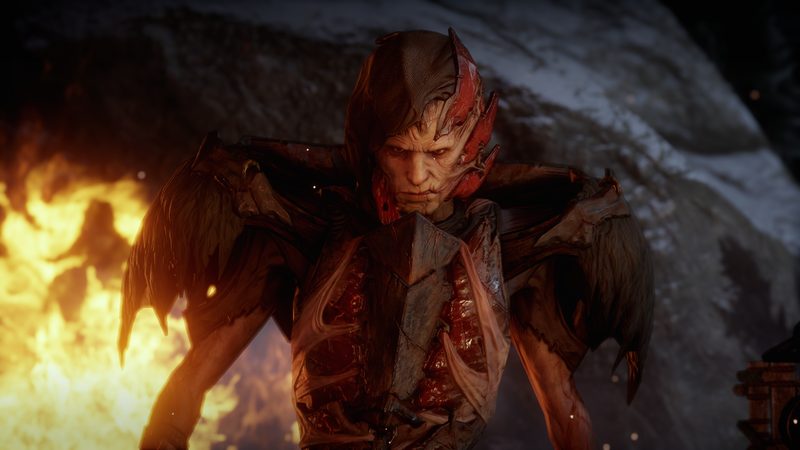 And yet, if we're evaluating the Dragon Age series in 2019, this is the biggest entry and probably the foundations on which the teased Dragon Age 4 builds (quite clearly narratively but also probably mechanically - whatever that ultimately means for a game rebooted under new directors at a studio imploding under mismanagement & crunch and possibly pivoting to connected "live" experiences built directly on the Anthem code base). 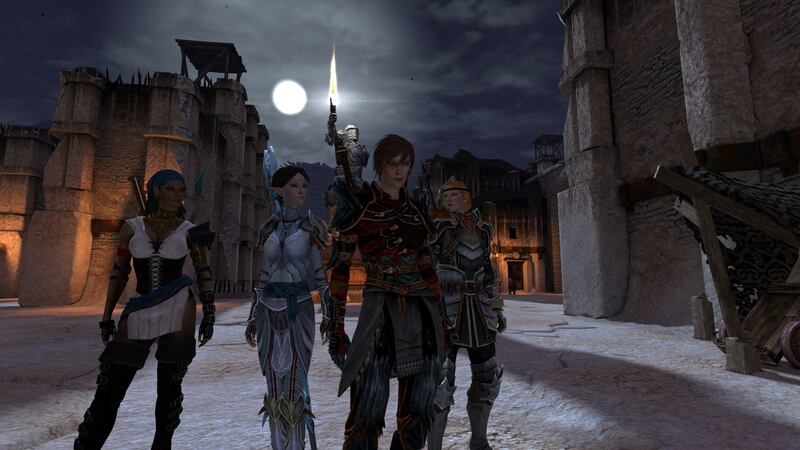 Dragon Age initially went from an attempt to recapture the old BioWare WRPG spark (before crowdfunded revivals offered players a lot of choice there) to a more console-focused character-driven affair on a limited budget. But for the fourth campaign in the setting (and third standalone game), EA couldn't keep ignoring the siren call of Skyrim. 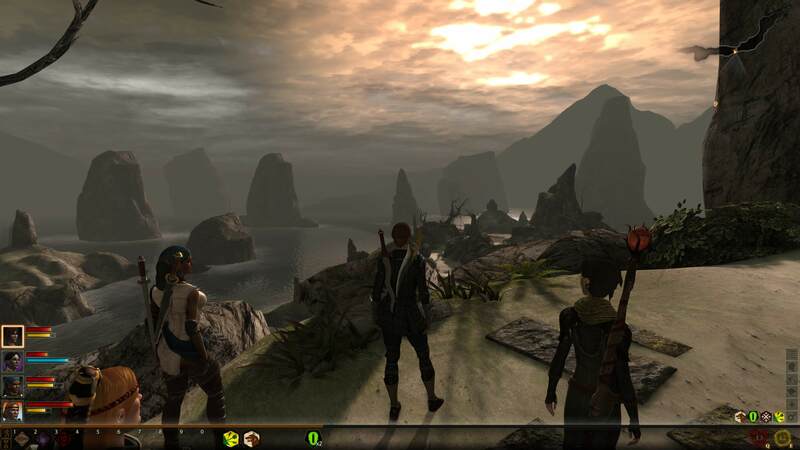 When this series was first in development, Oblivion was already showing where console-friendly RPGs could land commercially. 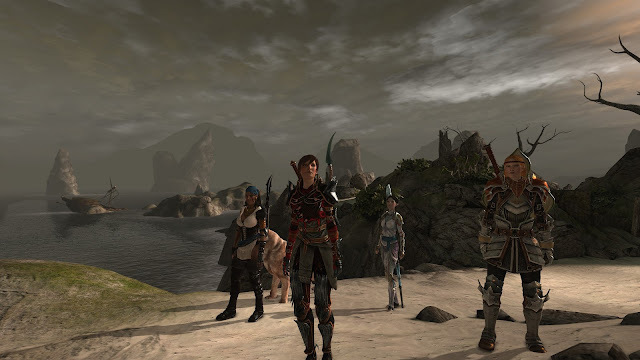 The previous Dragon Age games each did well enough (into the several millions sold) but they didn't manage to compete with Oblivion's incredible long tail and certainly couldn't stand in the same pantheon as a break-out hit like Skyrim (now well beyond 30 million sales thanks to another huge tail and many ports to new platforms). 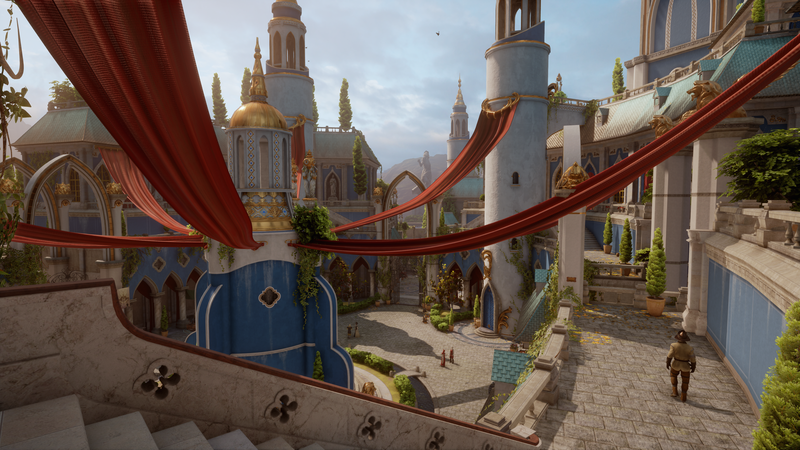 Open worlds were not just for big budget action games that took a few elements of RPGs, and so BioWare chose to take a stab at the big money. Moving to a modern engine, it's immediately clear that a GTX1070 can't run close to 4K native or max-settings with MSAA (or higher than native with downsampling) and expect locked v-sync (unlike earlier games). What's worse, the mild shader aliasing that supersampling fixed in previous games becomes terrible shimmer here with more advanced material shaders, an HDR pipeline, and bokeh-simulating depth of field (enlarging any shimmering overbright pixel into a fat blob that would almost look like glimmer if it wasn't so clearly strobing at the frequency of an aliasing artefact). MSAA is still an option but it's not going to do anything about shader aliasing (also you probably don't have the GPU headroom to turn it on at high resolutions anyway - especially as on PC you can and should force a 60Hz mode everywhere) and the post-AA is typically somewhat inconsistent. A modern temporal AA solution is sorely missed here, even if it's no worse than many contemporary titles from this dark era for temporal stability. The game's technical issues were never fully patched and I had more than a few DXGI_ERROR_DEVICE_HUNG crashes early on (which seemed to get nailed down to some resource management issues that became less prevalent with patches after release but clearly never got completely defeated). Early on I also encountered animation stuttering (especially in cutscenes where they should be playing back at a perfect 30Hz but clearly don't, with some scene elements updating correctly while other stalled for several frames) before deciding that 60Hz SimRate couldn't be worse. Despite being officially unsupported, it seemed much better than the default and provided pretty consistent frame pacing. Also holy clipped brightness values! 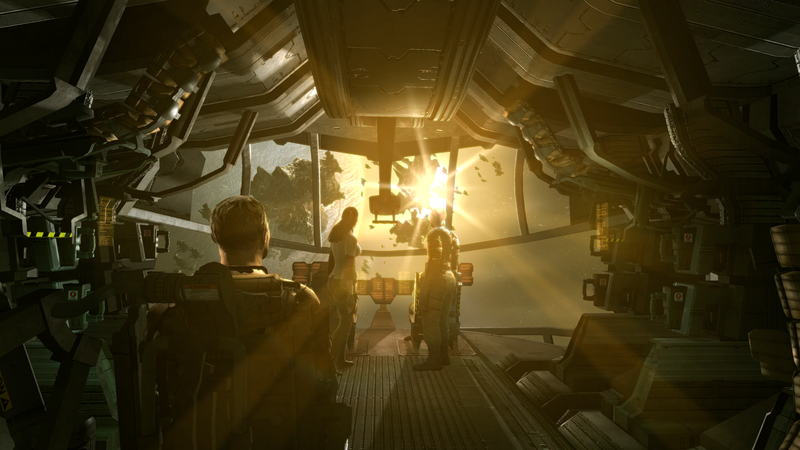 How was the monitor configured on which this tone-mapping was agreed upon? A few blown highlights outdoors and, far more significantly, severely crushed shadows inside; you're often entirely reliant on the phantom light your protagonist often emits onto the nearby dungeon walls. 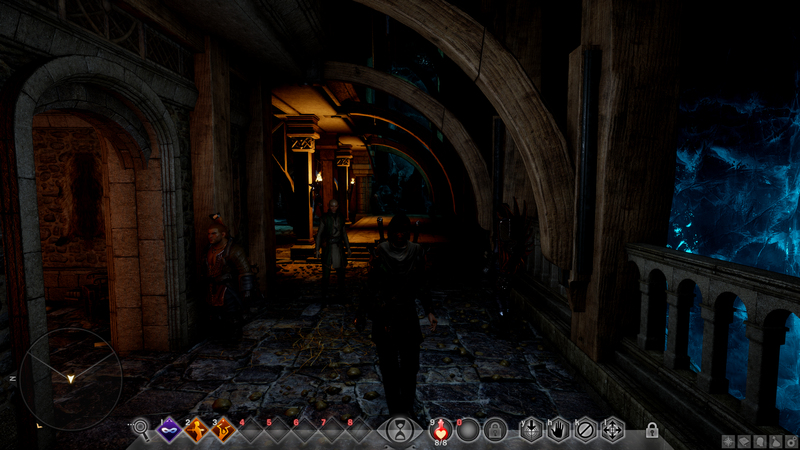 I ended up pushing the brightness up a few notches, although there is no proper gamma setting in-game so any slight improvement in the blacks also makes blown highlights more common - I could find no satisfactory setting and literally the only screenshot with the default brightness is the one immediately above from the very first dungeon. There are other areas of taking a visual step forward only for it to lead to inconsistent results. The rather mechanical facial animation of the earlier games are gone and we enter the era of modern BioWare. Not as bad as Andromeda's "automated animation while management failed to schedule any time to hand-tweak the output" but the higher fidelity certainly pushes towards uncanny in a way the previous games didn't. There may also be an element of so many returning characters, with their previous visual representation so fresh in my mind. Playing the games back to back, it's striking - initially I almost wanted to look away to enjoy the vocal performances without the distraction (before getting mostly used to it and then missing seeing face close-ups at all in the many dialogue scenes where the camera doesn't even zoom in). 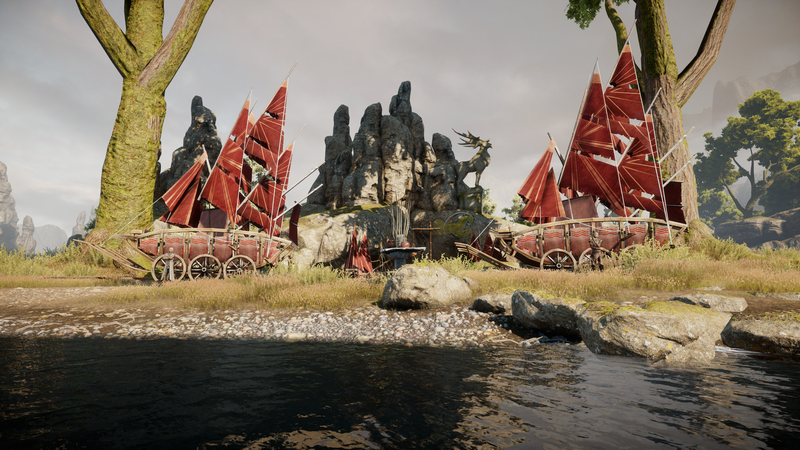 The technical chops of the new engine are clear (at the cost of GPU requirements per pixel rendered) and despite the tone-mapping issues, the lighting and material system does a great job of bringing the scenery up to where other Forstbite Engine games can reach. 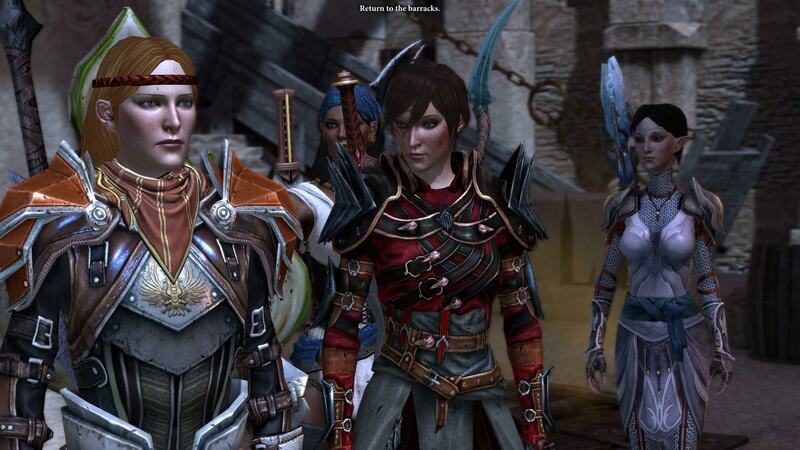 But the move to more realistic skin shaders is possibly going away from where I think BioWare have traditionally done so well - the painted portraits in Baldur's Gate right up to Dragon Age 2's very stylish designs (going as far as to lock the party visuals and heavily push the default look for Hawke, same as had been done for Shepard in Mass Effect). 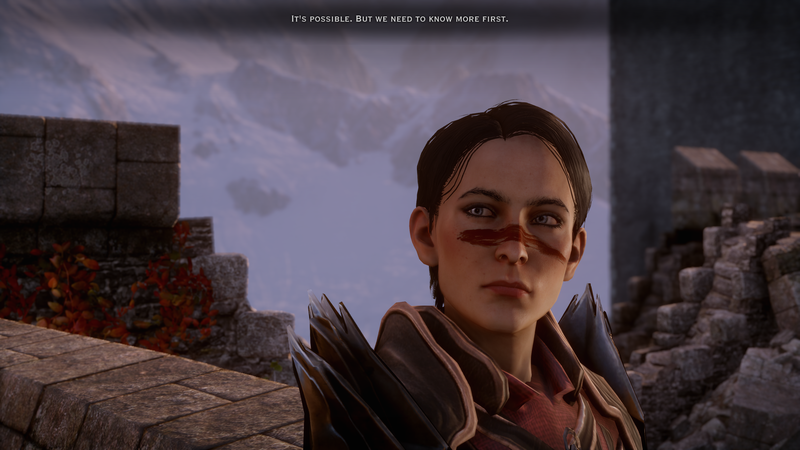 This series playthrough, I'd gone with a basically stock Hawke (modding in the option to tweak a few things but generally sticking to that iconic face you got from selecting the default) and then seeing what BioWare put in Inquisition as the default Hawke: that's really not an aged version of the previous protagonist's facial features. 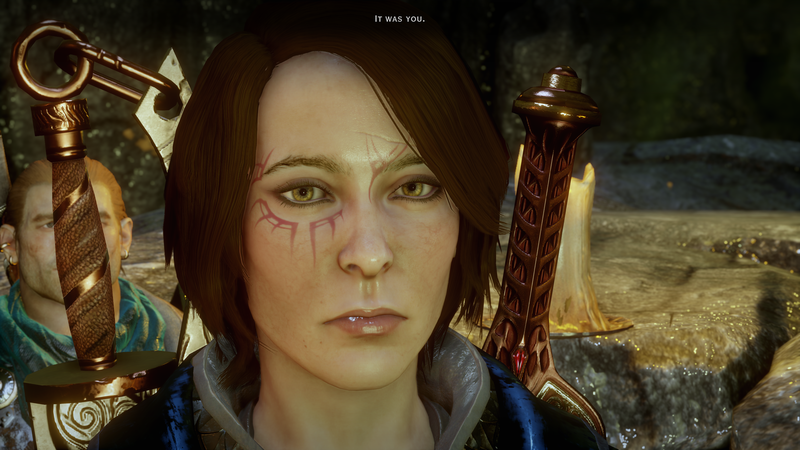 Thinking more closely about how I couldn't really make a custom character that looked like Hawke, it's not just the lacking options - you simply can't create a more cartoonish face from Dragon Age 2 in Inquisition's more realistic rendering palette. It's worth remembering that this title spanned the console generations (also releasing on PS360) so was always going to straddle the visual expectations of both and Frostbite is a lot fancier today - yet more reasons for a full trilogy remaster for the upcoming consoles. 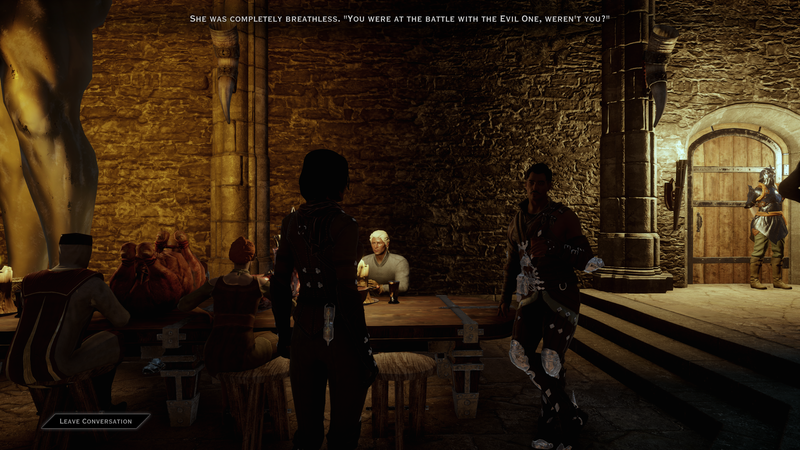 The stories here are worth another stab at; the voice performances may need to be augmented (especially if Dragon Age 2 is to be expanded to a full-length middle chapter in the saga) but are still extremely good; and there's the kernel of some extremely good visual flair here (especially if slightly reworked towards a cohesive, less realistic, style that spanned the series). 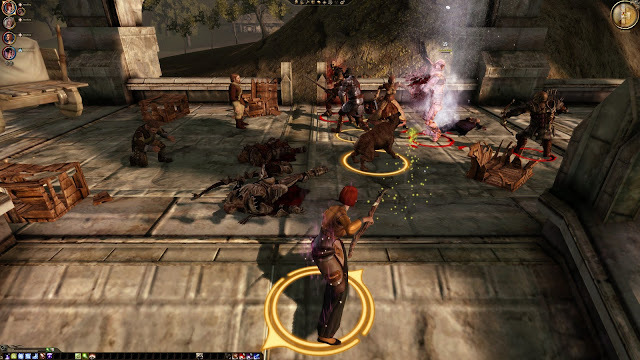 Dragon Age 2 felt like it streamlined the RPG mechanics and removed busy-work; Inquisition adds extra busy-work like the "ping" button to reveal resources/loot while removing strategic choices like manually assigning character base attributes to customise a build. Ability trees have been simplified to fit the limit of only being able to hotkey eight active abilities for any character (including an 'ultimate' ability), similar to how some MMOs have streamlined their abilities in recent years and removing the need for large hotbars to play some of the most interesting classes. A cavalcade of secondary systems have been added (expanded crafting, exploration goals, a million different progress bars, etc) so a desire to cut back on old systems makes sense. Players only have so much mental bandwidth to consider each system and their potential interactions. You can see where every decision comes from, but when put together it often feels like it doesn't lead to a great final experience and certainly doesn't flow from the previous games. The tactical view returns, the PC UI does not. But it's not the Origins tactical view that allows playing the game as if it was an Infinity Engine game and it barely feels like it fits the more action-oriented combat modelled on Dragon Age 2. As a continued progression into only adding the merest facade of PC niceties, the ability tooltips now fail to actually provide details of what anything does (hover over the toolbar to get the name of an ability and literally nothing more). 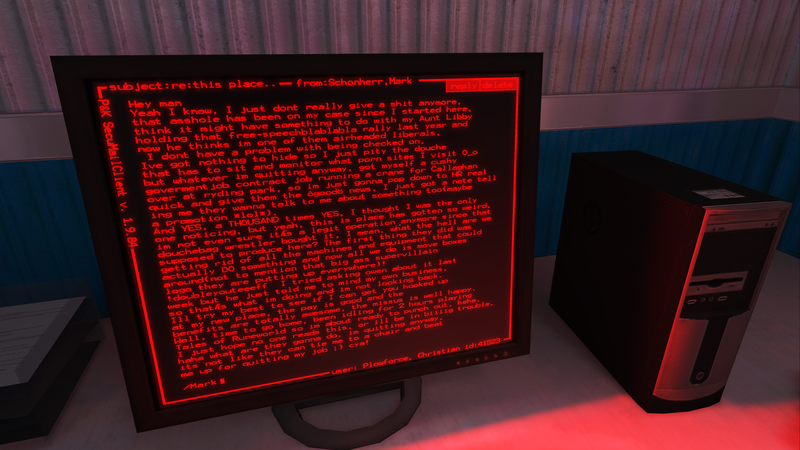 On such a large project, creating a PC UI seems like it would have been a reasonable task. When you're using a mouse, so many of the menus require you to drill down into a new layer to edit something rather than having edit buttons to switch stuff at the level of a list of items. I spent quite a while getting comfortable with both keyboard and controller support. Unfortunately you have to exit to the main menu to change between them so hotswapping is out of the question - I feel like a lot of us who played Battlefield from the early PC days got good at quickly migrating from on-foot keyboard to a stick or pad for vehicles and, despite the technical challenges to providing the correct UI, more games should expect people to dynamically move between them. Inquisition is clearly built primarily for controllers (even with the 8 "face button" actions not being as nice a fit as most action games manage). 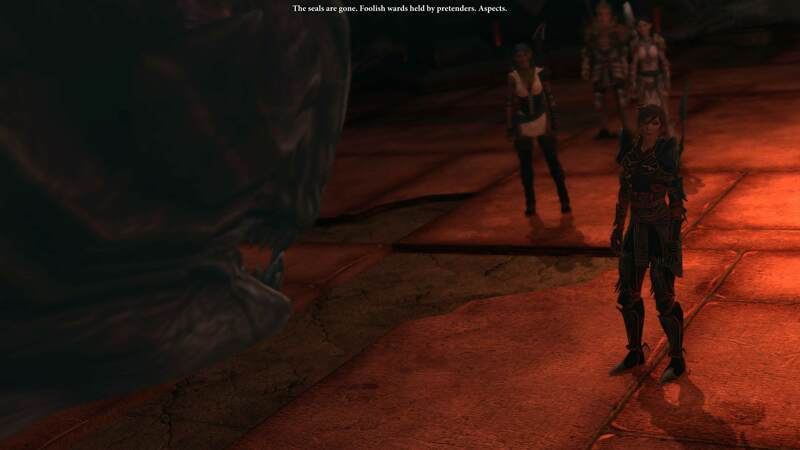 The movement with WASD feels clunky (once you rebind the comically outdated keyboard turning default); the auto-attack from Dragon Age 2 feels severely scaled back and no longer automatically deals with facing/collision/movement as elegantly; the menus are actually slower without keyboard shortcut keys that are bound on a pad to a quick press while a menu is open; and on and on. But what eventually got me to stick to keyboard was the (patched in after release) Unsheathe button - if you're exploiting unlimited fast stealth* then you need your weapons out. Normally you'd ping or jump quite often to ensure the cooldown never detects you're out of combat, otherwise you're stuck having to hunt a new mob to initiate infinite stealth off. Not so on keyboard, where you can return to a combat stance without swinging an attack (which breaks stealth and so ends you unlimited stealth). Without this, I might say gamepad is the better option on PC but, as with so many things in this game, it feels like you're always being denied the best solution. I was almost 25 hours into my playthrough of Inquisition when I gave up on the slow mount speed (with inability to pick up crafting materials or ping for points of interest) and exploited being able to get unlimited stealth* with a speed-boost dagger to make running faster than mounted travel. It's a symptom of the world being too large and the traversal options feeling too limited. The only real downside is the mount system despawns your party while sprinting means they regularly teleport in front of you as you sprint around. * A rogue's Skirmisher upgraded Flank Attack, when it connects, puts you into a stealth mode that's not got a duration timer as long as you don't attack afterwards; Lost in the Shadows upgrade means even running through enemies doesn't reveal you. Mages can beeline for the Ring of Doubt to get stealth. Stealth means creeping to get the mats for the crafting of a 1.75x speed-boosting Masterwork weapon. Warriors on PC may want to replicate this combat speed (that is possible with the unmodded game for two classes so is bordering on not even a cheat) via mods or just switch to a party member of a different class for traversal. 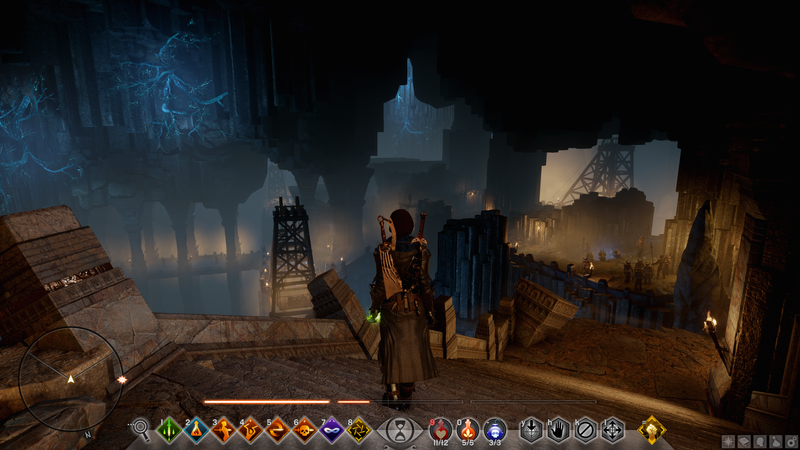 This is an impressively huge world (even cut into many zones), especially coming directly from the very restrained Dragon Age 2. But sometimes impressing and being readable are at odds with each other. It's impressive to not know where the edge of a player-explorable area is - a potentially infinite world - but that lack of readability makes it hard to efficiently explore. 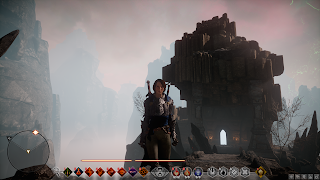 Earlier games showed you on the map that you'd reached the edge of the traversable area; Inquisition puts cliffs (looking just like the ones you can climb) or some rare invisible walls in the way rather than letting you understand the space as a floorplan. The corridor linearity of those zones and dungeons in previous games gave the feeling of a space without the navigational hurdle of actually working out how to get between any two locations on what looks to be a huge open expanse. 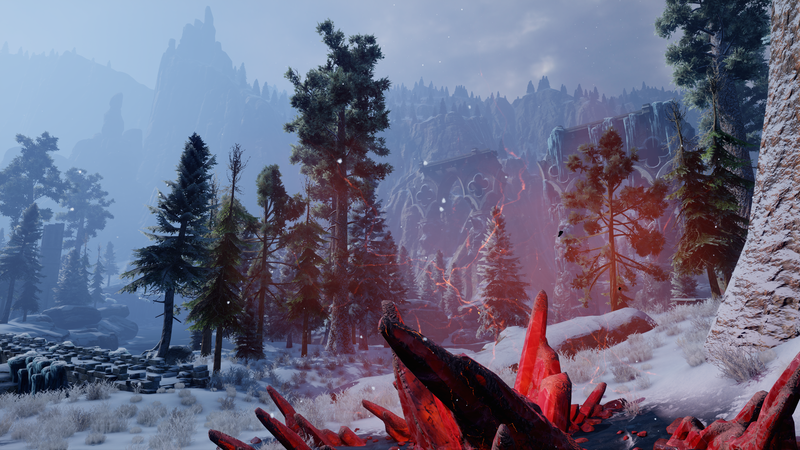 When you're constructing an RPG out of a more open world design, you start to hit those pain points that the previous Dragon Age campaigns had rarely encountered. "Here's a big huge Dwarven door that I've previously found another of unlocked on this map by collecting the draw-the-star puzzles. I'm level 4ish as this is one of the areas you can unlock very early on. Nothing in the game indicates why this doorway (marked as if it is a cave and currently showing there are things for a quest I'm currently on inside) is something I should ignore and come back to later." 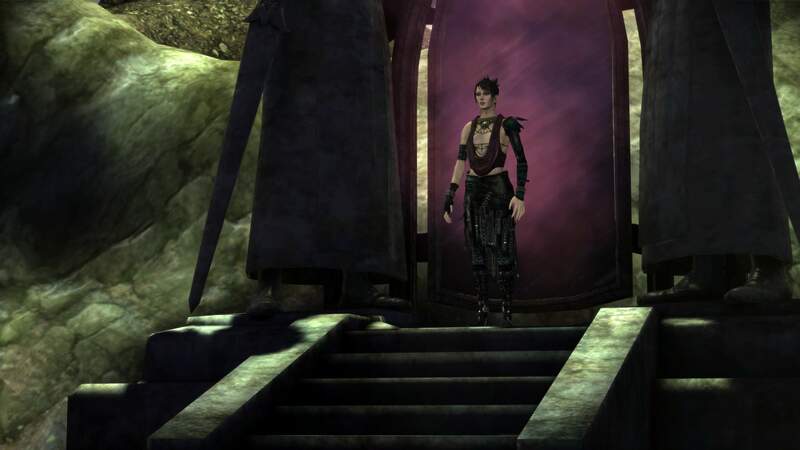 The quest markers are accurate, the quest objectives are absolutely inside but you need to be level 16, far later in the game, to unlock a different quest that unlocks this particular doorway. You need to look that up on a wiki or forum, thankfully now filled with hints from players who've already done everything. 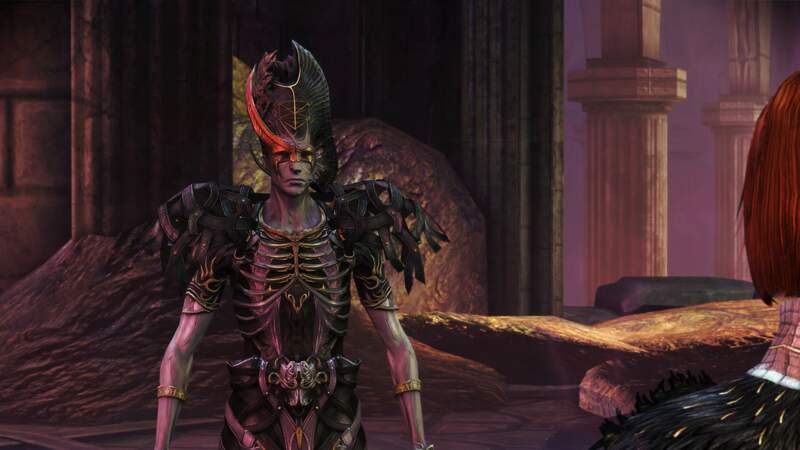 We can go back to some of the early impressions of the game, where completionists (used to the previous campaigns and doing all the quests in a zone) just burned out on the very first large zone unlocked and the endless minor quests with little to not flavour. One of the things a chatty party offers designers is the option to add barks to suggest heading back to base (and trigger some more plot development). Huge open worlds require a lot more careful planning of how they introduce and guide the player to everything. 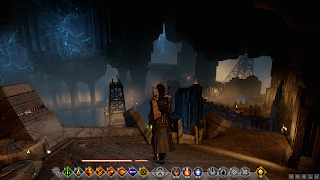 There are a lot of points where the previous games had offered a clear map of the dungeon with which to navigate while the open spaces in Inquisition lead to a completely different way to parse traversal and it's hard to not pine for the old ways when you're trying to work out how to jump up a cliff to get to the collectable thing that's probably in reach. The rewards at the end of the new collectathons also leave a sour taste. "I can't wait for Solas to have a big speech back at base about all those shards we collected and the Pride demon we took down once the final door unlocked in the zone that's basically just there to give you doors to feed the collected items into that gets introduced as important at the very start of the game." There is no follow-up dialogue or quest; no narrative reward for finding all the shards. An achievement pings when you cross the final door. 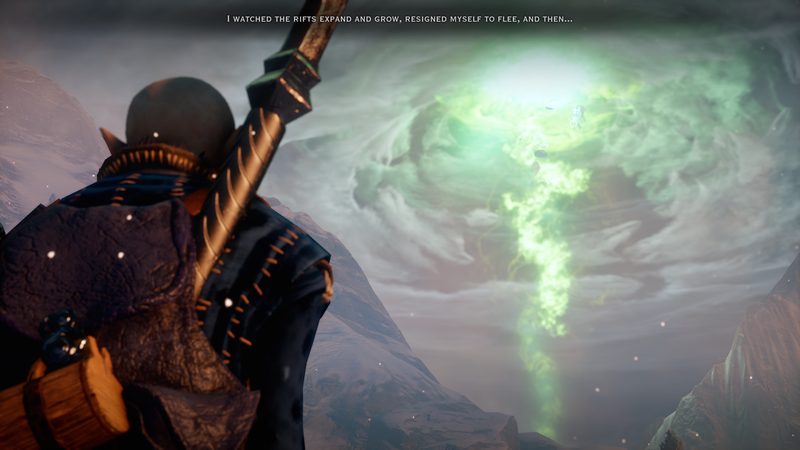 The same total lack of fanfare occurred when I helped Solas with 10 stabilising widgets and got given a location of a standard (high level) rift closure that was "special" & "worth investigating" in the mission text but not in any real dialogue or narrative conclusion; not even an achievement dinged for that companion quest. I'm left wondering if this is still a BioWare RPG with so much less signature BioWare narrative tied to progression. Worse, I wonder if there is actually less good stuff or I just feel like that because it's watered down by so much more filler? Looking at hours played, Inquisition would need at least as many character moments and narrative developments as all three of the previous campaigns I'd played through to compare, simply due to just how many hours it takes to complete all the quests here. Developers can say "just don't engage with it" about the less strongly-narrative content but the game design doesn't flag that there will be no payoff to the narrative setup they wrote to start the quest lines so how do you know what to ignore? Also how often have BioWare killed off a character if players failed to engage with their optional quests in the last decade so it's not exactly unreasonable that players have been trained to exhaust the quests and even dialogue trees (even asking borderline transphobic questions just in case it's vital to some progression that Krem gets asked something that shows you've got no clue) to try and avoid missing some critical but optional path. 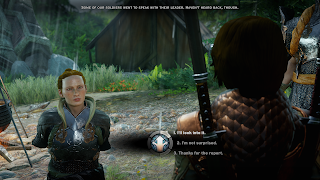 Dragon Age is a series where the fan parlance discusses "hardened" and "softened" characters over the arc of the entire narrative to track potential changes to character attitudes and what that means for where the story can go. 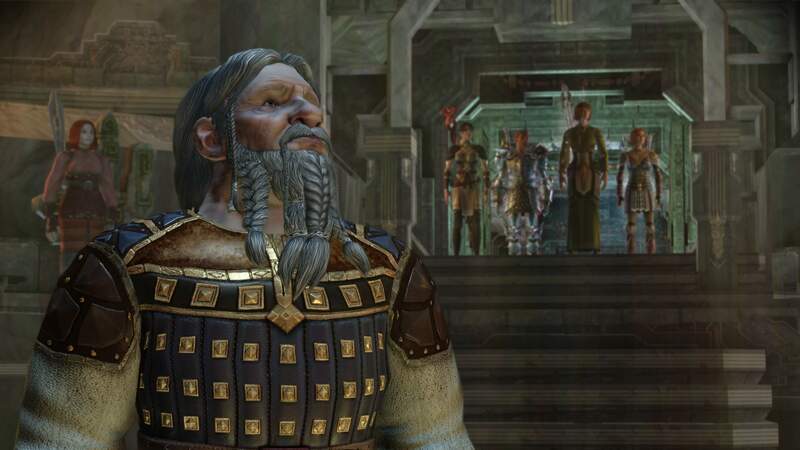 In 2019, we know a new Dragon Age is coming and will almost certainly import the world state from the Dragon Age Keep (the online world state checker/editor). The real killer I felt on this playthrough, during which I used a mod to turn the real-time waitathon mechanics off (instantly finishing quests on the "war table"), was how the large open spaces and walking round to chat were broken up by so many trips to trigger a text-dump "mission" on a glorified map you can only access by running to an area (with no fast-travel point just outside) in your base area. Timers making sure you don't play through the main missions or unlock new areas too quickly (even though there is already a currency that gates unlocking missions behind doing the less narrative content). And when you remove those blocks then the true absurdity becomes apparent: running from a companion spot to trigger a cut-scene and back to the map to start a "mission" you don't actually play that does what they suggested then immediately back to their location to trigger the continuation of the cut-scene. We're approaching the end of this series on a bit of a downer there. To be clear, I very much enjoy Dragon Age as a series and Inquisition as a bit-too-Skyrim-y big-budget entry in that series. If I didn't care about the characters (new and old) then I wouldn't be so invested in wanting more character moments. The technical issues (some of which we might generously call "era appropriate real-time rendering limitations") and stylistic choices along with the zone readability and collectathon issues stand to hinder some truly lovely spaces that could be filled with excellent gameplay and stories. It's the gap to greatness that makes me feel like Dragon Age should get another chance - just like Mass Effect 1 just needs the combat and inventory stuff reworked or Mass Effect 2 deserved a better ending. All of this modern BioWare era feels like it's so close to something not just extremely special but timeless. Nothing is perfect but some things stand out, even ten years later. 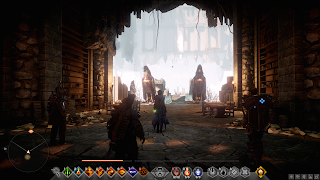 The first two big Inquisition DLCs - a dungeon and new zone - are very similar to the base game and if there's something this game wasn't desperate for it's even more content (providing more lore that BioWare will have to assume many players don't know about in the next game). 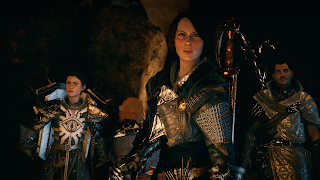 The capstone Trespasser DLC however: a lot of my concerns with Inquisition actually felt like they were improved significantly, so the team were already moving in a good direction. We now know the next project from that team got cancelled or rebooted with the loss of the project lead so the future is less certain. 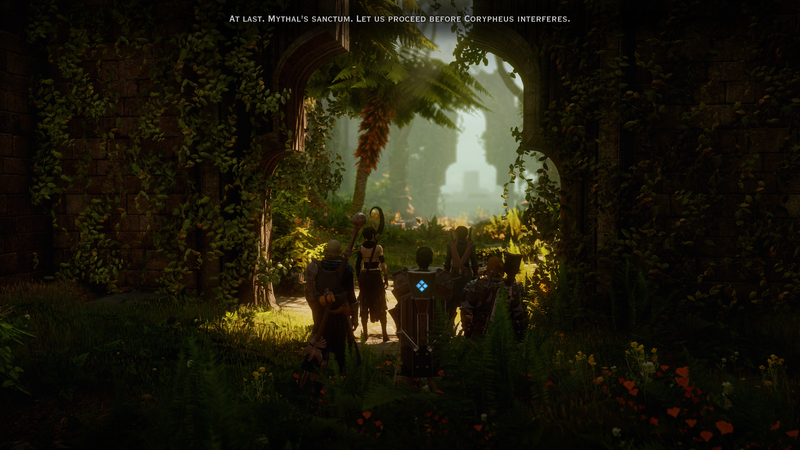 One thing the teaser (which was for the new project) did make clear is that the narrative hooks at the end of Inquisition are definitely the jumping off point for the next game. 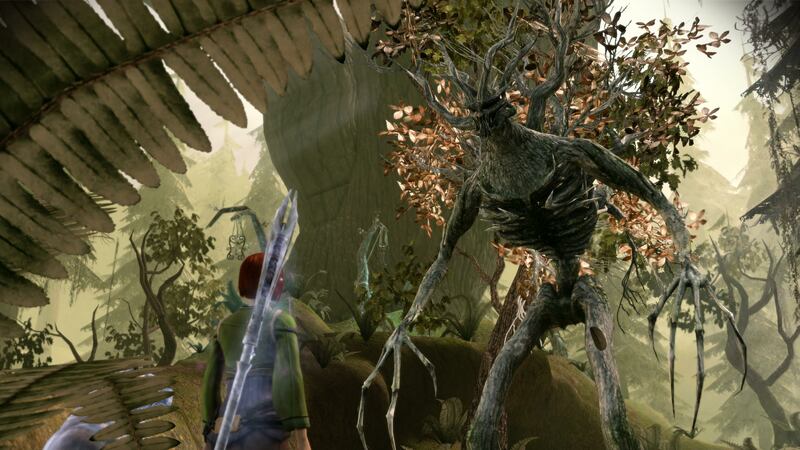 It seems likely that next game will arrive at some point on a new generation of consoles. So we still have some time to wait. Luckily there are four campaigns here that are very worth playing through. Plug: why not help me justify spending over 200 hours replaying old games recently and writing up my thoughts by *jangling tip jar* becoming a patron. I've been playing a lot of games in the last month that are getting on for a decade old. Some of that is for a longer post (series of posts? my notes, not yet having finished the final Dragon Age game, are 3500 words) but I wanted to do something shorter about how these games (that exported their artist assets expecting most users to play them at 720p) stand up rather well on modern systems. There may be a touch of riffing on this recent blog post too. Almost exactly a year ago I was asking similar questions to that linked post, but about the asset fidelity arms race and the last decade of progress measured in pure asset comparisons (that is, taking eg a 2011 game and comparing it to today by rendering both assets with roughly equivalent to today's real-time renderers). Playing through this series of games from 2008 to 2011 in quick succession was a great visualisation of how those old assets hold up in 2019 with 4K60 output. None of the screenshots that I'm embedding here are doing anything fancy like injecting alternative shaders or swapping out the stock assets with higher poly community mods or more detailed textures. Dragon Age 2 has the "High Resolution Texture Pack" (advertised as for GPUs with a massive 1GB of VRAM) which is an optional official download on Origin but I'm pretty sure that was released on the same day at the base game (and is official anyway). Everything was captured looking for a ~60fps experience so it's not a DeadEndThrills approach of turning everything up to 11 even if it broke the framerate and then capturing and downsampling purely for the photography. These are faithful captures of the internal framebuffer for the game as played. If you click through to the screenshots in this post, you'll notice some unusual resolutions involved because today DSR/VSR (super-sampling at the driver level - exposing fake higher resolutions to any game and then downsampling for output to the actual screen) is an absolutely stock technique. Something like a modern GTX1070 (my card will turn 3 years old next quarter - so not even that modern) has more than enough power to turn on any existing AA technique (MSAA hadn't totally died to deferred renderers in this era; FXAA etc had started to be imported from the consoles) and then also boost beyond 4K to help control some of the shader aliasing. The shaders aren't that complex so there is plenty of performance to play with and often no one is getting fancy with HDR to really explode everything (compared to games around 2015, which seem like they're going to be a dark period of high shader complexity but not great management of artefacts & defects in edge cases; not to mention not having good enough temporal anti-aliasing yet while most everyone had migrated to deferred where MSAA isn't viable). Despite expecting most users to see these decade-old games on much lower resolution screens, the push around this era was for good enough textures for up-close inspection. What you get when the textures are good enough up close is that you've now got some decently detailed textures even for 4K output at medium-distance. I'm not going to say all of these games are perfect, as you do clearly get some muddy visuals even in the mid-ground in some places (especially stuff like a large flat repeating floor texture etc). But it holds up surprisingly well and even the primitive dynamic shadows are often so primitive as to be easy enough to ignore (if you can't brute force it via poking at config files and demanding the GPU just throws a GB at huge shadow maps). The several years of continued development from where Half-Life 2 (including Episode 2 refresh) had left us in terms of getting a reasonably coherent result while juggling multiple different systems (this is before a unified PBR push) is often impressive. You can nitpick the results, just as you can often point to comically low polygon density you'd not see today (outside of maybe indie games and even those often push their polygon budget quite well), but it's only a few spots rather than the entire scene looking out of place on a modern system. While clearly miles from photo-realism, there is enough detail to know what everything is meant to be and for things like a poster or sign to get close to being the actual poster or sign without lashes of artefacts or having to use a special rendering technique to achieve it (here I'm thinking of how well Doom 3 did the in-world UI stuff back in 2004 being the exception even today). There is nowhere near the level of detritus you would see in a real world, but there is enough to make it look lived in. Those props look close enough to what they're meant to represent that we're not in the situation of years previous where it was a muddy texture and often a mess of polygons that you had to work at to understand once looking at them at a far higher resolution than was originally intended. There are enough assets that there is cruft on a desk rather than only the props required for the interactions and one fake bottle to avoid the artifice totally collapsing once interactable objects started to get glowing highlights or arrows above them. Also the lack of PBR in this era for things like human(oid) characters means the artists seemed to be more free to push the more cartoon-y stylish approach (before you defaulted to starting out with a skin shader with sub-surface scattering and worked from there) which certainly helps avoiding the uncanny valley. Some of the animation systems from this era are clearly reaching towards a fluidity the tech did not make easy and the animators were not given the budget to hand-tweak them to perfection from whatever performance capture they may have started with. I'd say it does show an "emotive gap" from looking at the puppetry onscreen trying to convey subtle emotions via expressions but often not quite getting there - but even today this doesn't seem like a totally solved issue and I find the difference from studio to studio is far more significant than simply looking at the progression of technology. Around this era of games then we've got stand-out stuff from Naughty Dog showing you could do that stuff really well with the technology back then. I am still energised by rendering questions. The introduction of real-time ray tracing is such an exciting time to be thinking about the next generation of engine designs (and even just what the new console generation will bring in terms of a baseline performance we can expect many many millions of users to have reasonably affordable access to). Even the more invisible things like a continuing focus on code quality and reliability engineering, with several studios talking about how they're looking at using Rust to really enforce higher coding standards (banning some patterns of design as too risky, which the Rust borrow checker enforces at compile time) in their work. How do I feel going back a decade and enjoying all these games that still look good enough today (thanks to the extremely fast GPUs we've got)? Well it makes me think about what we're working on today and the hardware we'll be able to use to replay it in another decade. 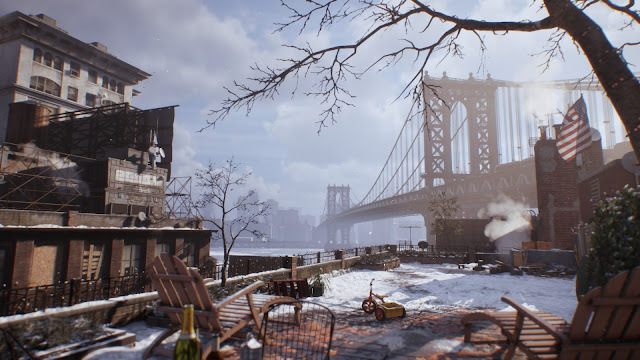 What slight visual deficiencies we'll be able to brute force around; just how detailed things might look on 8K TV panels with amazing contrast/brightness options (and maybe some of that Deep Learning algorithms tweaking the game output to enhance it without the horrible results from previous generations of "TV enhancements" to the input signal) or with VR headsets that sit us inside recreated 3D spaces and give us effectively even higher pixel counts (via head movements allowing us to be truly surrounded in a scene and 4K VR panels). Games have longer shelf lives than ever before and can continue to grow even long after we've stopped actively working to develop them. We should probably think about making sure all our sliders can be unlocked to go up to 12 so that players in ten years can continue to poke the settings up as they get the hardware to run it.